Bare, piercing images of a Swedish man mourning the loss of his wife—a heartbreaking look at life after the death of your partner. My grandmother passed away suddenly in February 2015. At the time, I was working on a different photographic project. Instead of continuing with my work, I decided to return home and spend time with my grandfather as a way of coping with the situation. He suffered from AMD (age-related macular degeneration), a disease that results in almost no vision in the center of the visual field, as well as glaucoma, a slow loss of vision, and impaired hearing. So in a way, my grandfather lost his eyes and ears when she died. During that period, I spent a lot of time with him—I stayed over, helped him with errands, talked about his memories. I appreciated simply being in his presence. This particular situation—the death of one partner before the other—is inevitable, and the subject is maybe a bit taboo. No one likes to talk about it, but it happens. My grandfather passed away in March last year. He never really moved on. Editors’ Note: This project was recognized by the jury of the LensCulture Emerging Talent Awards 2016—don’t miss the work from all 50 of these outstanding, international talents! 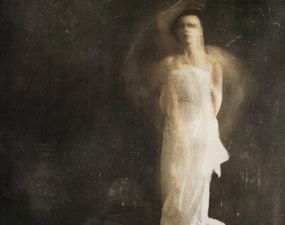 If you enjoyed this article, you may also like one of these previous features: Cancer Family, about a couple diagnosed with stage 4 cancer at the same time in upstate New York; Yukari Chikura’s otherworldly series, Fluorite Fantasia, created after the death of her father; and Emy & Ana, a series on two close friends who cope with themes of love, death, and transcendence after an accident. Untitled. © Erik Simander, Winner, LensCulture Emerging Talent Awards 2016. 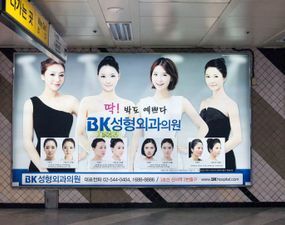 In Seoul, the social pressure to look beautiful is overwhelming—a good nose job can mean a good-paying job. These documentary photos explore this current trend among the youth culture of Korea. A touching portrait of a woman whose life-long companion has been art. 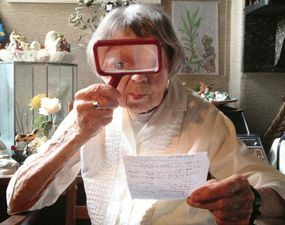 Each day, for 90 years, she has drawn, illustrated, posed and created—doing her small part to bring a little more beauty into the world. This intimate series is the result of the photographer’s decades-long fascination with a remote valley, its idiosyncratic inhabitants and a long, personal history of family strife. The relationship between two artists is captured through a set of artful, handmade photobooks that document how a pair of intertwined individuals cultivate a shared, creative life. 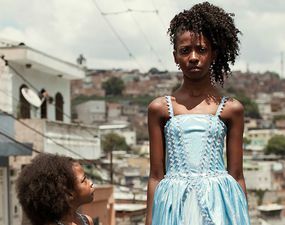 A kind, 11-year-old girl entrenched in the poverty and trauma of one of Sao Paulo’s worst slums. Her possible way out? The “Young Miss Brazil” beauty pageant. These 11 portrait series were the most viewed by LensCulture readers in 2014 — they cover a wide range of photographic portraiture styles and approaches, and offer lots of inspiration. Enjoy!